Aspen was selected by the California Public Utilities Commission (CPUC) undertake the CEQA environmental review for two applications for Certificates of Public Convenience and Necessity filed by Southern California Water Company (SCWC). The first application requests approval to construct and operate a water transmission line in western Orange County to supply domestic water to the Bolsa Chica Planned Community, a proposed residential development project on Bolsa Chica Mesa. The second application requests approval for the designation of SCWC as the wastewater management agency for the proposed residential development project. Aspen was responsible for the entire CEQA process for the construction and operation of the 6.7-mile water transmission line as well as the wastewater component of the project. 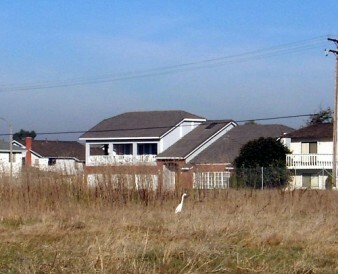 The water line route traverses an urbanized area of western Orange County (including the Cities of Cypress, Los Alamitos, Garden Grove, Seal Beach, Westminster, and Huntington Beach) terminating at the site of a proposed residential development adjacent to the Bolsa Chica wetlands on the Orange County coast. Aspen reviewed the application submitted to the CPUC by SCWC for completeness and compliance with CPUC requirements. Aspen the prepared the Initial Study and Notice of Preparation; organized and facilitated Scoping Meetings and prepared a Scoping Report; and prepared the Draft and Final Supplemental EIR. The SEIR is intended to supplement an EIR previously certified by the County of Orange for the Bolsa Chica Local Coastal Program that provided approval for the Bolsa Chica Mesa development that would be served by the proposed water line.